Higher SAT or ACT* Scores Can Bring You Thousands in Scholarships! You know a good SAT or ACT score can help you get into the college of your choice. But, did you know your scores will also help you pay for it? Over 14 billion dollars worth of scholarship money is available for students to claim each year. $100 million in scholarship aid goes unclaimed, simply because students do not seek out the scholarship and apply. #1. Begin the process now! As early as sophomore year, begin researching scholarships, building an academic portfolio (high GPA, top level course selections), and preparing for the PSAT where a good score can open the door for National Merit scholarship opportunities. #2. Fill out the appropriate financial aid forms—be early and be accurate! You need to tap into all options in getting financial aid. These two forms are the cornerstone of the financial aid process. CSS Profile or College Scholarship Service is the primary form used by colleges, universities and private scholarship programs to determine eligibility for aid: merit-based, needs-based or scholarships. The form should be filled out two weeks before application deadlines. Most schools require it by January 15th. awarded by the US government in form of student loans, grants and work-study programs. Start filling out January 2nd and complete it early. Remember—filling out the FAFSA doesn’t guarantee aid, but not filling it out ensures you won’t get anything. #3. Research your options and apply! #4. Talk to your target schools! 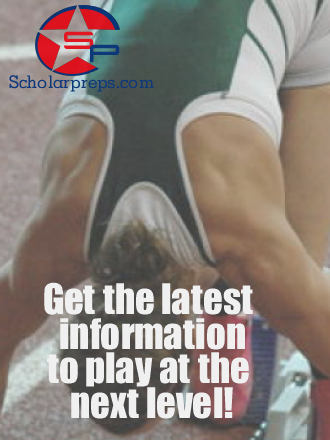 Specific schools are your best source for information on what a GPA or SAT/ACT score is worth in terms of merit scholarships. A difference of 2–3 points on your ACT or 200–300 point on your SAT can mean the difference in thousands of dollars in scholarship money! #5. Keep your grades up and get the optimal score on your SAT or ACT! *SAT is a registered trademark of the College Board, which was not involved in the production of, and does not endorse, this product. ACT is a registered trademark of ACT, Inc.
†Conditions and restrictions apply. For complete guarantee eligibility requirements, visit kaptest.com/hsg. The Higher Score Guarantee applies only to Kaplan courses taken and completed within the United States, Puerto Rico, Canada, Mexico, the United Kingdom, and France.